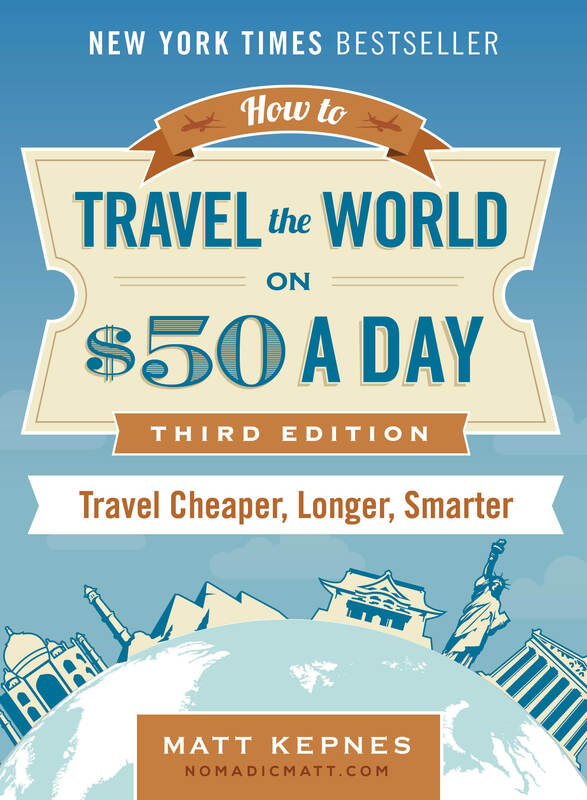 Wouldn’t it be great to travel anywhere in the world for $1,000 or less? And I don’t mean just the cost of getting there. I mean your entire vacation from the time you step out your door to the time you get back. How great would it be to take a one- or two-week trip anywhere for that? Decades upon decades of marketing by expensive hotels, cruises, and resorts has left us with the cultural notion that travel is expensive. Despite all the blogs, apps, websites, and Instagram accounts out there, too many people still don’t believe that travel can be cheap. I get that. We’ve been conditioned by big brands and companies for ages to believe this repeated message, and it takes awhile to shed that belief. But we’re currently in a golden age of travel, thanks to cheap flights, travel hacking, and the sharing economy. We are seeing a revolution in travel that is allowing people to bypass the traditional travel gatekeepers of old — the ones who kept prices high — and travel frugally without sacrificing comfort. It’s no longer a stark choice between cheap backpacker hostels and fancy resorts. In fact, it’s actually really easy to travel well on a budget these days. Today, I want to introduce the concept of the $1K trip. A thousand dollars can get you far — no matter where you want to go. While there are many ways to travel cheaply, thanks to traveling hacking or extreme budgeting, this concept is about something more middle-of-the-road. It’s not about going away with no money or traveling on $10 or $20 a day. It’s for those of us in the middle, who have day-to-day jobs and want to travel more but always feel like we lack the resources to do so. A thousand dollars is a lot of money, but it’s not an impossible amount of money for most of us. It’s saving $2.74 per day for a year. Most of us can save $2.74 a day. Once you start believing it’s possible, you start looking for ways to make it possible. I’m not talking about that BS from The Secret, where you manifest a winning lottery ticket. I’m talking about thinking of the practical steps you can take from day one that will bring you closer to your travel goals. Look at your day-to-day spending and the spending choices you make. How much would you save if you bought a Brita filter instead of a daily bottle of water? Or gave up Starbucks, cooked more of your own food, and drank less alcohol? What if you gave up cable? Downgraded your phone plan? Walked to work? Sold your unneeded stuff on eBay? Even if it takes you a year to save, it’s better to start today than tomorrow. I always look at expenses and go, “I can have these new jeans or another fancy dinner — or I could have another week on the road.” I have friends who complain about not being able to travel then go buy $300 sunglasses. Not everyone can save a ton of money or even has the means to travel all the time, but with enough time and dedication, the majority of us can get somewhere. When I worked with Dianne during our case study program, she was a big casual spender but prioritizing travel in her mind helped her dramatically increase her savings. Second, it’s important to remember that traveling on a limited budget requires planning. For example, a few years ago I took a trip to London for $700. I knew I had ten days, didn’t care where I slept, and was content with drinking only a little, taking public transportation, and sticking to the free attractions. I only cared about eating and having fun with friends. Everything else was secondary. Knowing myself allowed me to make the most of my limited funds — and figure out how much I needed in the first place. I could plan the exact amount I needed to save because I had a rough idea of how much I would spend. Break your trip down into small manageable goals. 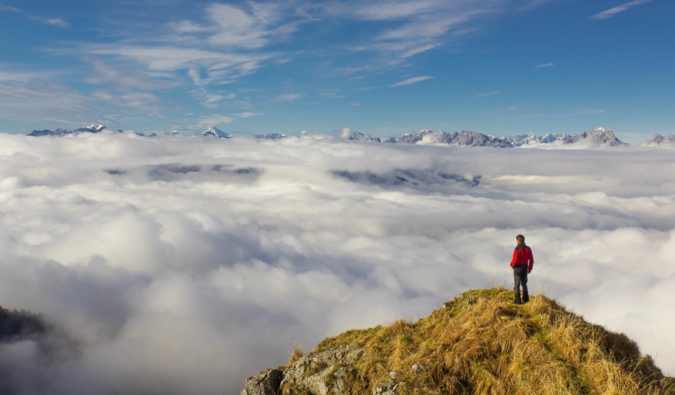 Don’t think about the 1,000 steps it takes to get to where you want to go. Think about the step right in front of you. What is ONE thing you can do today to get closer to your trip? What about the ONE thing you can do tomorrow? Once a trip is broken down into smaller steps it becomes a lot more doable. I want to use two example trips — a week in French Polynesia and two weeks in Australia — to illustrate the concept of the $1K vacation. (I’m picking expensive places so no one thinks I’m trying to cop out by using cheap destinations!) The same techniques I used to go to London for $700 are the same ones that apply to the trips below. OK, French Polynesia here we come! Well, French Polynesia is an expensive destination that has many rich residents and caters to higher-end tourists, and as such, even if you want to be basic and live like a local, you’ll find that prices for everything are at a premium. But where there is a will, there is a way. The cornerstone of budget travel is collecting points and miles, i.e., travel hacking. Reducing the cost of a flight to zero is the best way to reduce the cost of your trip. And, for any expensive destination, you will definitely need to travel hack. 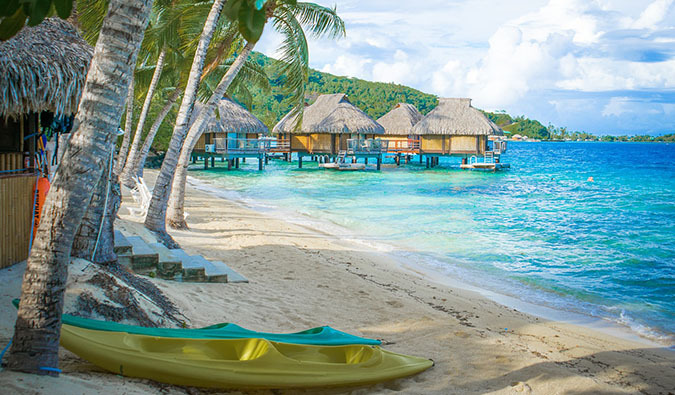 With flights running $1,600-1,950, French Polynesia under $1K is impossible without using miles to cover your expenses. To get to French Polynesia from the US, you can fly one of two airlines: Air France or Air Tahiti Nui (both have direct flights). The only downside to using miles: award availability isn’t abundant on these flights. The above numbers are for “saver” awards (award tickets that need fewer miles) but sometimes only regular award tickets with higher mileage requirements are available, so you’ll need to keep that in mind. After a couple of nights redeeming hotel points for a fancy bungalow (if you have tons of hotel points, then by all means, keep staying for free! ), I would switch to an Airbnb. 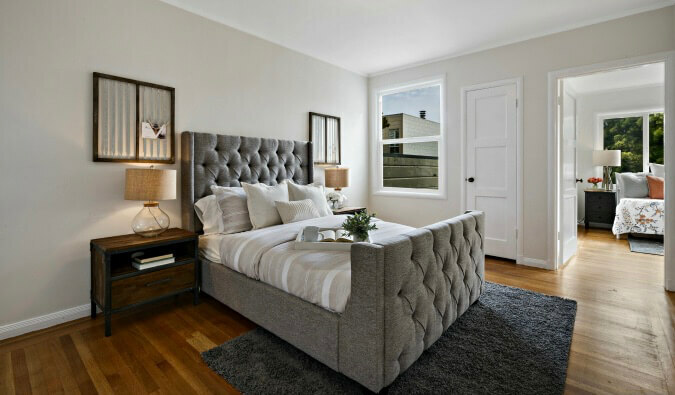 Airbnb private rooms cost 4,000-6,000 XPF ($40-60 USD) per night, while an entire apartment (most come with pool access) will only cost you 6,000-9,900 XPF ($60-100 USD) per night. The only thing is, the Airbnbs are pretty much all located in and around the capital, so you’re not going to get too many luxurious beachfront places. How this would apply elsewhere: Use a mix of points, hostels, Airbnbs, Couchsurfing, or even house sitting to lower your costs. More information can be found here. Food isn’t cheap in French Polynesia since most has to be expensively imported and those who visit tend to have money to burn. If you eat at the resorts and hotels, you’ll pay at least 2,500 XPF ($25) or more for a meal. At an upscale restaurant, expect to pay around 4,500 XPF ($45). A meal in a casual restaurant will cost around 2,200 XPF ($22 USD). A fast-food meal is about 1,000 XPF ($10) while a beer is around 600 XPF ($6 USD). However, by eating from the local snack bars on the road, you’ll only pay around 1,000 XPF ($10 USD) per day for food. If you plan on buying your own groceries, expect to spend at least 8,000-10,000 XPF ($80-100 USD) per week on food. I’d avoid drinking, stick to as many local snack bars as possible, make picnic lunches, and eat out only at dinner to keep costs down. How this would apply elsewhere: Drink less, eat local food, grocery shop, skip fancy restaurants, and avoid eating in touristy areas. More information can be found here. Not surprisingly, activities in French Polynesia are not cheap either. Diving and other single-day water activities start at 11,000 XPF ($110 USD), with a two-tank dive costing 14,900-18,900 XPF ($150-190 USD). Surfing lessons, which generally last a few hours, cost around 13,000 XPF ($130 USD). Bike rentals are available almost anywhere and will cost 1,500-2,000 XPF ($15-20 USD) for a day. Whale-watching tours will cost around 11,500 XPF ($112 USD). I’d focus on one or two activities while here. You could save more points, drink less, and even add more money to your food budget. Point is: French Polynesia suddenly became a lot more affordable! It’s pretty easy to go to French Polynesia for $1K. Using a mix of travel hacking, local restaurants, Airbnb, and doing only a few activities, you can visit here without sacrificing comfort. Australia is often a place where budgets go to die — but it doesn’t have to be that way. You can still get you pretty far if you know a few tips and tricks. With your flight out of the way (see below), you would have $71 USD (88 AUD) per day ($1,000 divided by 14 days). You have to be a little bit more frugal than in French Polynesia but it’s doable. In reality, saver award tickets for direct flights to Australia are hard to come by. They aren’t there often. You might be better off going indirectly. There are a lot of ways to get to Australia if you look at having a connection than going direct. I connected through Abu Dhabi, while a friend connected through Hong Kong, and another through Japan. I even had a friend fly via Chile once to save on miles. Accommodation in Australia is pricey: even hostel dorms can be as high as 30-40 AUD ($24-32 USD) per night. Luckily, once you get out of the big cities, prices drop, and there are a lot of Couchsurfing hosts in the country. If that’s not your jam and you don’t want dorms, you can find rooms on Airbnb for 44-75 AUD ($35-60 USD) per day. Food isn’t cheap in Australia, and keeping this cost down is going to be the hardest part of your trip. However, if you lower your food (and drink) expenses, you can stay under $1K. Most decent restaurant entrees cost at least 20 AUD ($16 USD). Grab-and-go places cost around 8-10 AUD ($6.50-8 USD) for sandwiches. Fast food is around 15 AUD ($12 USD) for a meal (burger, fries, soda). The best value foods are the Asian and Indian restaurants, where you can get a really filling meal for under 10 AUD ($8 USD). The best way to reduce your costs is to cook as many meals as possible. If you do so, expect to pay 100 AUD ($80 USD) per week for groceries (pasta, vegetables, chicken, and other basic foodstuffs). Moreover, with drinks running 8-15 AUD ($6.50-12 USD) each, I’d avoid drinking out if possible. Buy beer at the store. Traveling around the country is tough given the long distances. The easiest way to get around the country in such a short period of time is to fly. There are often some last-minute flight deals on Tiger Airlines and Virgin. But even regular fares are pretty good. 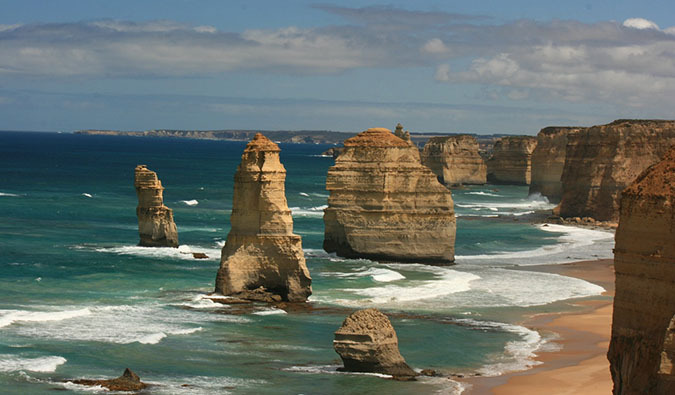 For example, Brisbane to Cairns is only 107 AUD ($86 USD) and Melbourne to Sydney is only 67 AUD ($54 USD). If you had more time and could stop often along the way, the unlimited pass would be better — but you don’t have that time, so cramming that $429 USD into two weeks doesn’t make sense. I’d also consider ridesharing via websites like Gumtree or Jayride, or hostel message boards. Lots of people rent vans and are always looking for people to split the cost of gas. You can also drive yourself. Campervan rentals start at 60 AUD ($48 USD) per day and can also double as places to sleep (thus saving more money). If you are traveling with friends, it’s smart to buy a used car or campervan (or rent a new one from one of the many rental companies) and split the cost of gas. I’d probably take a few flights and then a few rideshares. If I were in a group or liked driving, I’d rent a van to lower the cost per person. That way you save time on the long distances and still enjoy the country from the ground too! As much as I love driving across Australia, it’s better suited when you can break up the journey when you have more time. Activities will really ruin your budget in Australia. For example, a one-day trip to the Great Barrier Reef can cost 230 AUD ($185 USD), while a two-night sailing trip around the Whitsunday Islands can cost upwards of 540 AUD ($435 USD). A three-day trip to Uluru from Alice Springs is around 480 AUD ($386 USD). Luckily, there’s a bunch of free walking tours and activities in cities, but if you’re looking for that once-in-a-lifetime adventure, you’re going to pay for it! To lower costs, I’d do a lot of solo hiking and trips, free walking tours, and one or two big-ticket items. Again, this is a sample budget and it takes a little more effort to watch the pennies in Australia, but it’s doable to travel there and not spend a lot of money. There are incredible free activities, cheap groceries, and ways to get around on a budget. I’m not saying it will be easy, but I am saying it’s not impossible. When you travel like you live, you can visit anywhere. Taking an entire vacation for less than $1,000 is completely doable. Stop thinking about travel as this big, expensive thing and start thinking about it more practical terms. Think about the steps to make your trip happen. A thousand dollars isn’t nothing – and it may take a long time to save that amount – but it’s not the multiple thousands the media makes travel out to be! “I don’t have the money to go” is a limiting belief. When you start looking for ways to say yes, when you start breaking travel down step-by-step and look for ways to save, the world is truly your oyster. Matt’s Addendum: After some feedback, I want to clarify something: Yes, this requires points and miles that have to be earned prior to your trip. However, since those can be earned without spending extra money, I don’t view that as an added cost since it doesn’t require to spend more money than you would to get them. Additionally, I picked two expensive destinations that require points and miles but if you were to go closer to home or to a cheaper place, the need for points would be far less. I recently saw a $450 R/T flight from the US to Thailand. At $50 a day, you could still go for 12 days, use no points, and not break the $1k barrier. P.S. – Want to find out how you can meet more locals AND find free accommodation when you travel? Check out our Q&A with Couchsurfing on September 28th at 6pm EST! Is Travel Hacking Really a Scam? Great post, Matt! Miles are highly underrated and need be be taken advantage of more. Hopefully this post will encourage others to do so. Great article!! We totally did this for our Bora Bora trip and it was amazing! Could’ve never done it without Travel Hacking! We got to stay at the intercontinental for free! Such a dream! To collect miles requires spending money. To say one can travel anywhere for $1,000 and then condition that on free airfare is disingenuous. The advice is aimed at people who might find $1000 a lot of money. Let’s assume you need 80,000 miles for an award and can find a signup offer for 40,000. That means you probably have to spend $40,000 to collect the other 40,000 miles. Then the advice to use hotel points for free rooms. Assume you want a 7 day vacation and rooms are just 15,000 a night. That’s another 105,000 hotel points, and another $105,000 spend. 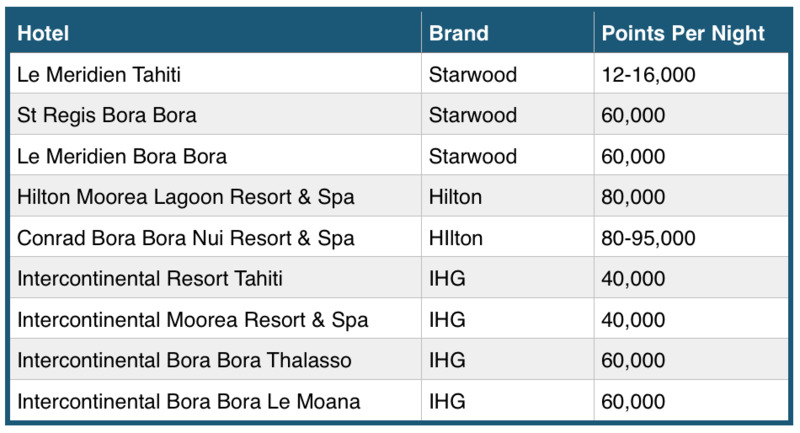 Even if your hotel card gets 2 for one points, that’s still $52,500 in spend. So for me to go on a vacation for $1,000 I need to charge $92,500. I’m surprised you missed telling us to just go for one day and avoid 6 more days of hotel, meal and local transportation expenses. And, there is a bigger elephant in the room. After I take that $1,000 trip, how do I take another one a month later? It’s not too hard to find an 80,000 points offer. I can think of two off the top of my head. Not only that, but you can easily sign up for two different cards at 50,000 points each. Let’s not forget that for some people even obtaining a credit card just so you can collect points is a pipe dream. If you have bad or poor credit and you live in the US, you can forget about even getting one, let alone spending on it in order to get points. Travel hacking with poor credit, no credit cards and low salary is already huge barriers to even leaving home on a trip. Sure their are other ways to earn miles but they take longer and you earn far less than the faster sign up bonuses most cards offer. Agree totally. Same in UK. Up until recently you couldn’t even get a bank account without full time employment. A housewife was asked for written permission from her husband, who had to be in full time work. They now offer ‘Basic Bank Accounts’, which is basically a second class account. In bank and ATM card only – nothing else. This was only because unemployment/disability cheques stopped being issued for cash Girocheques, cashable at Post Office only, along with ‘books’ for OAP’s). I was recently turned town for my banks ‘Travel’ credit card, because I have my late husbands pension, but not a job as I’m disabled/long term sick, despite having had their ‘normal’ credit card for years. I have never been overdrawn or requested a loan. I also have 3 other credit cards which have always been paid off on time, although I mostly only use them for my main grocery shop, which is delivered as I donn’t drive. I am still seen as a risk because I cannot work due to weekly sugery visits and occasional hospital appointments. Only one of my cards enables you to convert into miles, and that is only with Virgin. It has taken me a good few years to get to 48 000 miles, but i’m unable to travel at the moment. My the time doc. gives me OK to fly again I might be able to get somewhere! You can find some really high point bonus offer cards like Jeff said. Additionally, many cards offer 3-6 points per dollar spent, thus lowering the spending needed. You can also use online shopping portals when you buy stuff for a further 3 points (on average though sometimes they are super high). You can also “manufacture spending” by using gift cards for 1 cent or less per mile. There are plenty of ways to earn miles without spending hundreds of thousands per year. It’s completely doable. Check out some of the articles I linked. I get your argument and frustration but I assure you it can be done! The advice is to travel hack and get the flights for next to nothing. How do you come to your conclusion? More people need to sign up for reward cards! Having your money work for you is the smartest thing you can do. 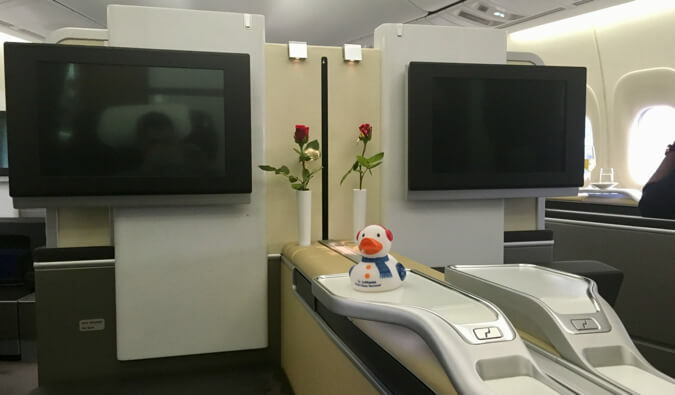 I used miles to buy a business class ticket with lounge access on a recent trip. To earn those miles, I didn’t do anything other than pay bills, buy gas, and eat at restaurants. So worth it to travel more! Some of The Secret is BS and some is true. Only because, our energy creates our Universe. Meaning, if you vibe high, you move into that practical steps aka tips, to create the life of your dreams. TS did a poor job stressing the action part, definitely with ya on that. But most humans do a terrible job with the high vibing part, choosing to vibe low, and see those roadblocks versus seeing possibilities. When I found the desire to travel, I found the means. Or, I found ideas to help me become a full time, island hopping pro blogger. Or, I found those ideas and busted my a** working intelligently, then struggling, then, deciding to vibe high and render service and befriend folks and be generous, and, deciding to improve my skills, so I could make this gig a full time venture, and see the world. I love your tips because each is practical, smart and yep, budget-friendly too. I have found house sitting to be an awesome way to see the world and pay zero for lodging. Finding budget flights helps. As does eating a bit more like a local, an inexpensive local haunts. I’d advise folks that while you save, earn. While you budget, profit. Then you can spend less and less, and make more and more, and eventually, money will not be an object for you. I am not there in the moment yet through vibing high, helping folks, making friends, and serving others, with my thrifty ways and profitable blog, I definitely see myself reaching that point. French Polynesia…sounds really good! This isn’t a huge expense to add onto your calculation, but redeeming American points costs real money. I booked “points travel” this week for Easter break and spent $73 in fees and taxes. I put all my spending perks toward American Airlines miles, so I don’t know if it is different with other carriers. I mostly enjoy your posts but when you start talking about points though… Not everybody has points/miles programs. I am always a bit disappointed when expecting good advice and opening the article just to read about points… points to cover an entire flight and have left over for accommodation, for that matter, is a bit over the top. This is not a trip for under $1000 at all. As mentioned below, you could get points if you wanted. The reality is if you want to travel to fancy destinations on a budget, points and miles are integral to doing so. There’s no way around it. As I said, you could go to a cheaper destination to avoid the points thing and the other advice applies to any destination too. I think that’s good solid advice! Why don’t you collect points? People in the US have so many more opportunities to earn air miles. I’m with a couple of loyalty schemes in the UK but found out recently that even if I get enough points to fly economy, I’d still have to pay at least half the fare in taxes & fees from here. Plus we don’t have the same credit cards – last time I looked into getting an AMEX card for air mile points, there was a £24/month fee which outweighs any saving I’ll ever make. I don’t mind articles like this for Americans because you truly should take advantage of it, but (correct me if I’m totally wrong, of course!!) I think you’ll always get comments like this from international readers. Clazz: It’s true it’s not available everywhere bit there’s plenty of opportunity in the UK for points. Check out headforpoints.com. That is an awesome site for UK based point earnings! There’s actually a lot you can do in the UK. We don’t get points on our gas or electricity bills in UK. As I’ve stated, it can be hard to get a ‘normal’ bank acccount, up until recently you had to have a full time job or an employer’s letter offering you empoyment and that you needed an account to recieve your wages. Credit cards can lso be difficult to obtain. They have also got really paranoid about money laundering. They say that it for drugs and terrorism but I don’t believe that most people in this country are putting large amounts of illigal money through their bank accounts. How come when they raid these places they ofen find thousands of pounds in cash? I too was disappointed reading the blog! As soon as you started stating using points I thought how does this even make sense when your aiming the article st those who always say they can’t afford to go away??? Sorry but not the best article you have written and totally unrealistic! Matt, like some people have mentioned before me in the comment section: not everyone has miles or bonus points. You know I’m a travel writer (I wrote you earlier this year asking for your take on Amsterdam for a travel book I’m doing on the Netherlands, though never received an answer) and yet I have never joined a frequent flyer program. I don’t have miles or points to redeem, and likewise, there are also people who might not have saved up enough points to fly entirely free. Between cheaper destinations and relying on bonus points, you chose the latter for your article’s premise, and it feels a bit like saying: I could be telling you to go camping, but hey, that would be too easy, so let’s talk cruising – now, redeem 100,000 Airmiles for this two-week cruise and you’ve got $1,000 to play with on board! It doesn’t seem entirely fair. Well, you could get points if you wanted. You’re making the choice not to do so. The reality is if you want to travel to fancy destinations on a budget, points and miles are integral to doing so. There’s no way around it. If you want to travel on $10 a day, sure, you can do that too. But I’m using this article to show you with a mix of various ways of budget travel (points and miles included) you can travel on a budget. Points and miles aren’t some hard tactic. They are pretty easy to accrue and if you’re not using them, well, that’s your own call but I think you’re being silly and missing out on a great opportunity. They may take time to get but they change everything. My thoughts exactly!!! Who is this article based at ? Wealthy travellers who accrue points with their credit cards come on!! Why can’t you accrue points on your credit card? If you have one, just put your spending on it and you’ll get points that way! Nothing fancy about that! I would point out a few things: even flying with points is never free. At the very least, you pay taxes, ranging from $11 if you’re very lucky to about $75. Some airlines are terrible about their fees – British Airlines, for example, usually charges $300-$500 in just fees! However, once you put that into consideration, you can still easily do a trip under $1K if you choose a cheaper destination. I stayed in Bangkok, Thailand (one of my favorite places on earth) for a month and probably ended up spending less. Renting a furnished apartment in a central neighborhood as a local would cost only $400 for the whole month, and it had a rooftop pool, so this wasn’t some hole in the wall. Split that with a partner and your monthly rent is $200! Food is ridiculously cheap ($2-5 for an amazing street meal, $10 or so at a restaurant), and you’ll have enough left over to plan a long weekend at the beach. You make a valid point, cash is king. But while cash does give freedom, keep in mind this blog is geared towards budget travelers. The main point of this blog is to keep the total cost of a trip under $1,000 – which is not likely if you are paying cash for everything. Points do limit where you can go, but a lack of cash can do the same. Points are a great way for people on a limited budget to make these kinds of trips possible. In addition, points programs can seem overwhelming but you can earn them just by spending as you normally do but using travel/hotel credit cards instead. In one year I have accrued enough miles for two round trip tickets anywhere in the U.S., or one roundtrip anywhere in the world. “Australia is often a place where budgets go to die” this made me giggle! I live here for now and it’s oh-so-true! I’d add to look out for cheap vouchers on Groupon for activities, especially if you have a group. You can get 2-for-1 kayaking or other activities which can help save money while here. Travel is affordable…it doesn’t have to be super expensive. I enjoyed the article and hope to take one of your trips! Great post! I’ve used miles and it’s helped so much in our travels – literally saves us thousands of dollars! Incredible article!! We completely did this for our Bora outing and it was stunning! Could’ve never done it without Travel Hacking! We got the opportunity to remain at the intercontinental for nothing! Such a fantasy! Not to care where I sleep? Couch-surf? I’m 55 years old and you think that would be OK. I’m sure I’m old enough to be your mother. Would you be OK with your mother traveling in the way that you have outlined here? Might work for a 25 year old. But, what if you don’t have cable, don’t do Starbucks, don’t eat junk food, work from home and have medical bills to pay? Where would I get extra money? Again, you are talking to 25 year olds that have no idea what a budget is. I’ll stick with a Groupon travel ticket. At least that gives me a decent place to stay. I know people older than my mother who travel this way….even cheaper. As outlined above, there are other options for accommodation. Like I said, it may take a long time but you can eventually save the money to get there. It’s $2 a day, which is a lot better than your Groupon travel ticket, which is insanely overpriced. I know a 70+ lady who travels by couchsurfing and hitchhiking! I’ve always wanted to visit French Polynesia. I’ve always thought it is way more expensive but it actually is pretty affordable if one manages to save a bit. Thanks for the helpful tips! You’re very welcome! I hope you get there soon! Great examples and thanks so much for breaking the cost down for us. I’ve definitely found that, for me, the best thing that works is putting alerts on flights to certain destinations and having my travel dates be pretty open in order to choose the cheapest leaving and return date. The hard part is, and will always be, the flights. I think with some education most people can deal with staying in a hostel, and finding some great cost saving tips while there, but the hard part is always the airfare. I like using Tripmasters, an aggregator that has some really cheap flights. Expedia has some good combination deals also sometimes if you search at the right time of year, to the right places. My wife and I did a week in the Yucatan for $600, flights and hotels. Cheap travel can definitely be had. I mean, I’m going to copy you by travelling the world! Never thought it would be possible to do it for under $1000!! I think I’ve lost a lot of respect for you after the way you’ve replied to some of your European followers regarding points scheme travel. I followed your link to the Head for Points site who updated their article earlier this month about the best credit cards available to UK customers with travel-related points schemes. Their first choice was a hotel credit – one night at a Hilton, no flight option. Second was a fee-free Amex offering 20000 Avios, but Amex are still the hardest card to use in the UK and not as widely accepted as Visa and Mastercard. Third was an elite Mastercard (available to a few eligible high earners) which got you 40000 Avios but had a sign up fee of £195 ($256). Then of course you have to factor in what you’ll need to spend on the card to boost those points further. Having multiple cards and thus having to pay multiple fees isn’t an option for many. Perhaps instead of running down your followers, you should listen to them. How about making it clear that you’re focusing on what’s the norm in the US or wherever else your point applies, and treating those who point out that your advice doesn’t work everywhere with a bit more respect. This doesn’t really fit in Nigerian context. Collecting points to give you zero dollar for flights from Nigeria to anywhere in the world would be practically impossible. Collecting points for air miles is something you have to be in a certain financial position in the first place to do. I appreciate your intentions and your other advice on these sample trips seems sound, but let’s please acknowledge that there is a classist assumption at work when we start the “anybody can collect points” for trips of this magnitude. I agree that he makes classist assumptions. Despite a great credit score my relatively low fixed income means that I don’t qualify for many of those credit cards. Exactly. Also, a lot of people are already not in a position to buy expensive jeans or fancy meals or $300 sunglasses, so giving up those spending choices isn’t an option. I don’t think this is classist at all. First, I never said EVERYONE can get a card. If you are in debt or barely getting by, you shouldn’t be traveling. Someone making minimum wage and supporting a family is not in a position to travel. I fully understand not everyone has the means to travel. Just because I put up advice doesn’t mean it will apply to 100% of the people on this planet. It doesn’t invalidate the advice. You can still collect points even if you have terrible credit or a secured card. There are still cards that earn rewards and, while it will take longer, it is not impossible. I’ve helped people on fixed income with no credit take trips. It takes a lot longer but it’s not impossible. I recently flew United RT Boston-Sydney – 40,000 pts each way, but note the exit tax for Australia is about USD$90 or so, so the total taxes and fees were north of USD$100, about USD$120, as I recall. I used American points to fly Qantas on interior flights (HT to some other blogger, Million Mile Secrets, I think), and that was the best use of points and about USD$20 per segment with the greatest savings on expensive flights to/from Alice Springs. I didn’t have to explore the discount airlines within Australia. @Leanne and @Cindy – I don’t buy expensive junk, but I do put ALL spend on credit cards. There is a lot of competition right now among the credit card companies. Check out the American branded card from Citi or the United card from Chase, but hold off on the United, because they are about to increase their incentives. Try for the 60k to 80k bonuses. Good luck. I never usually comment on stuff like this. But, it was sad for me to see some people who claim to be avid travelers not use frequent flyer type miles. I’ve been doing it for about 25 years now. At last count I have taken, or given away to friends, OVER 75 flights. I’m not talking about domistic flights either. I’m talking Europe, the Middle East, South America (one of my favorite places for several reasons!) etc. Matt is right, if you WANT to do it, you can. I get offers all the time for 50,000 bonus miles if I’ll do this or that. It REALLY does work. If you’re not using those miles, you really are missing out. Try them! My daughter and I did Australia for 3 weeks for about $2k (US) each. Including airfare, with no points. The key was grabbing a super deal on flights when it came up ($375 round trip…from Alaska! Usually it is that much to just get out of the state!). We rented a car for the entire trip for less than $400. Australia is too big to see the entire country, we stayed within a few hours drive from Sydney. Combination of AirBnB & couch surfing. Lots of free activities, cooking in, hiking and free winery tours. Tons of opportunity to see wildlife on the side of the road. We did some tours as well (Jenolan Caves totally worth it!) Found out that public transport in Sydney (driving in Sydney is scarey, and parking in Sydney is ridiculously expensive, we went to Manley and day tripped into the city) is $2.50 for anywhere all day long on Sunday…includes the entire ferry system…how is that for an inexpensive sightsee trip!…it can be done if you really want to do it. I would never have gone to Australia as it IS expensive, but when I saw the flight deal come through my email I jumped on it immediately because it was an opportunity to make that trip happen! Cost more than $1k, but it was 3 weeks and we didn’t try that hard to be totally frugal, it was a vacation after all! ? That sounds like an amazing trip! Great score on the flight deal! Awesome post! I’ve been saving up for a year long trip for quite some time now, and I’ve been saving money everywhere I can while earning miles! Using sign up bonuses has earned me enough points for a free flight. Also, meal prepping my meals for the week is not only significantly cheaper, but also healthier since I now control exactly what is going into my body! I live in Australia and my biggest problem is getting out of the country, because Australians are great travellers, and usually pretty aware when it comes to reward points. A decade ago, we could swing plenty of economy class and even business award flights – with Malaysian and Cathay… Qantas has always been a niggardly dead loss in this department. But now they’re rare as hen’s teeth, especially *out* of Australia. The demand is such that all the airlines are squeezing every last drop of profit out of reward points at full prices, i.e. often at much higher prices (in points) than you can get in dollars, paying for flights via Skyscanner or the like. I’m an Australian too and this is definitely a comment I’d second. I agree totally to the use of hostels, couchsurfing, doing your own cooking ,less drinking as I use these ‘strategies’ myself. My only comment is about collecting airmiles. 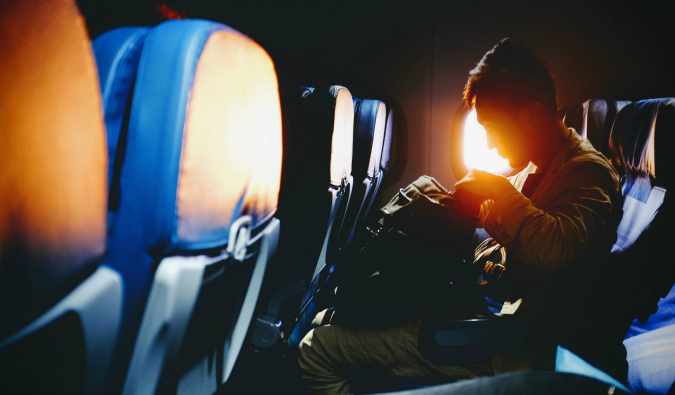 Subscribing to a frequent travel program helps but you first you have to spend to start collecting air miles. In the last 2 years travelling to Australia, India I gathered 16500 airmiles with Emirates’ frequent flyer program. Now I am going to Thailand in December for 1 month. Currently I do not have enough for a return trip to Cyprus and I live in Malta in the Mediterranean. Of course I will gather more air miles due to the Thailand trip. Therefore it will have taken me 3 years to collect enough air miles for a Cyprus return trip which is in my own backyard so to speak. I can buy 4500 more airmiles needed to top-up my frequent flyer account and it will cost me Eur133 which is half the normal trip price. Last but not least, thanks for your travel advice.